Founded in the fall of 1955, the Lincoln County Sheriff's Posse was organized by Lincoln County Sheriff George Howard. The tradition of horsemanship requires practice between the rider and the horse. Several events are held annually for the posse to work together and with law enforcement. As part of the traditional common-law duties passed down from the English, sheriffs retain the power to summons the aid of a posse, or posse comitatus, as it is sometimes called. Ideally, a posse furnishes immediate, able-bodied assistance to a sheriff in need. Posse comitatus or sheriff's posse is the common-law authority of a United States county sheriff to conscript any able-bodied male older than 18 to assist him in keeping the peace or to pursue and arrest a felon. It is the law enforcement equivalent of summoning the militia for military purposes. By-Laws Objectives: To assist the Lincoln County (Nebraska) Sheriff when he sees fit to call the group for any emergency or police use when the use of the posse would be necessary. 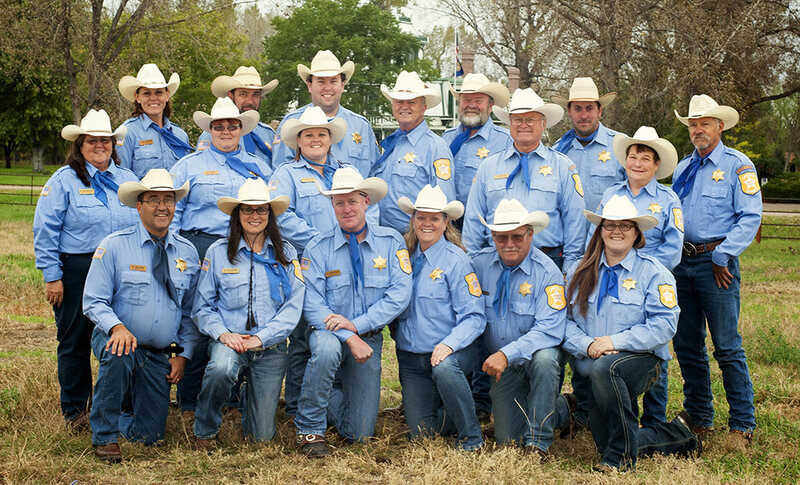 The Lincoln County Sheriff's Posse by-laws state a limit of 50 persons with 25 being men and other 25 being women. If you are interested in becoming part of the LCSP please complete the membership application below. For questions please contact the organization.